ATV tours are a fun way to explore the beautiful difficult to access places such as the wild forests and cliffs on the Kohala coast. These tours typically take you on a 10+ mile drive through private lands with stops on the way at scenic points, historic sites, and waterfalls. We first shortly explain the how and what of ATV tours (what happens on a tour, what to bring, what are ATVs?) and afterwards list a description of all ATV tour providers on the Big Island. What happens on an ATV Tour? ATV tours take between 1.5 and 3.5 hours. At the start of the tour you will receive a safety briefing and a short crash course (pun intended) on how to drive an ATV. The drive itself is controlled and easy to do, even without previous experience. To drive an ATV you need to be at least 16 years old, children can often be brought along with the tour in ATV buggies. After the introduction the real tour will start. You will follow the tour guide on your ATV and stop at several scenic points along the way. During some these stops you will be provided with snacks, get an explanation about relevant Hawaiian history, and sometimes it is even possible to take a quick swim at a waterfall. Make also sure to check the weather forecast. Afternoon rains are common where the ATV tours take place and it is always better to be prepared! What to bring on an ATV tour? An ATV (All Terrain Vehicle, wikipedia) is a small 4WD vehicle that handles like a motorcycle, but the extra wheels and weight give more it stability at slower speeds. ATVs are also know as a ‘quad’ or a ‘quad bike’ and are very well suited to navigate difficult terrains for drivers with little to no experience. 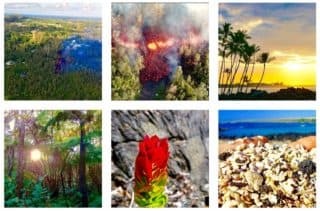 There are 4 companies offering ATV tours on the island of Hawai’i: two in the northern Kohala region (closest to Kona and the Waikoloa resorts: ATV Outfitters, and the Kahua Ranch) and two close to Hilo: close to Mountain View at the Pa’ani Ranch and on the Hamakua Coast by KapohoKine. Ride the Rim has unfortunately stopped operating tours. We describe all these companies below, and refer you to the hawaiiactivities website to compare prices (including possible discounts) for the two largest ATV tour companies (#1 and #4 in the list below). ATV Outfitters is a family-owned business that operates in Halaula on the northern Kohala coast, between Hawi and Pololu Valley. Their tours take you through old rainforests and a macadamia nut farm to breathtaking ocean views and a secluded waterfall. ATV Outfitters offers 3 different tours that last between 1.5 and 3 hours. You can read more about these tours on the ATV Outfitters website. The Kahua Ranch is a large privately owned cattle ranch. They organize ATV tours of their 8,500 acre property that includes lush, cool Hawaiian ranch lands and some spectacular views. ATV tours are only available for groups (group size between 6 and 20 people). You can find more information on the Kahua Ranch website. The ATV Tours on the Pa’ani Ranch take you through their 220-acre ranch. This part of the island is not as scenic as the Kohala coast but it has the convenience of being close to Hilo. There is unfortunately no visit to a waterfall included in this tour, but there are plenty of waterfalls to be found nearby. They also offer horseback tours and have activities on the ranch for children of age 2-8 (a petting zoo, pony rides, etc.). You can find more information on their ATV tours on the Pa’ani Ranch website. 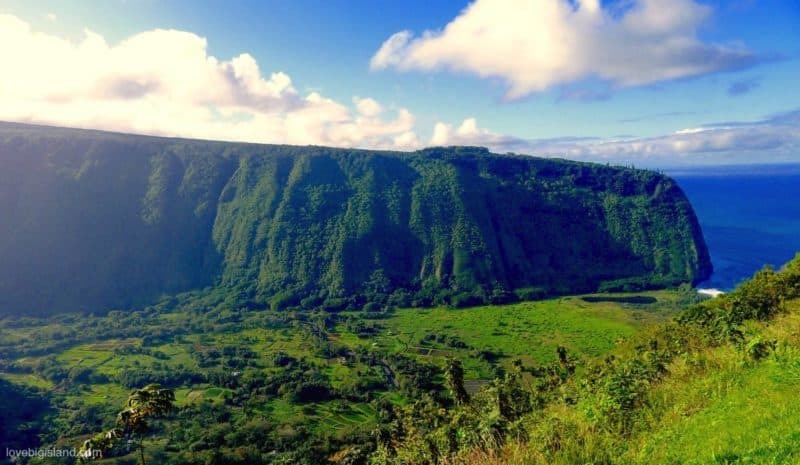 Almost 6 miles of trails on the lush Hamakua coast take you past waterfalls, muddy mountains and views of Maunakea, Mauna Loa, Kilauea and the Pu’u O’o vent. Note that for this tour you need to be 18 to operate the ATV. The tour lasts approximately 3.25 hours with 1.75 hours of riding. Read more about this ATV tour on the KapohoKine website. Unfortunately Ride the Rim ceased operations as of July 31st 2018. We will update this space if anything gets known about a possible restart of their tours. Ride the Rim has the unique advantage of location: their tours skirt the rim of Waipi’o Valley which allows for amazing views into the valley. Most of the tour takes you through eucalyptus forests and there is a stop at a small secluded waterfall where you can swim if conditions are right.